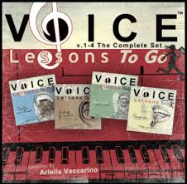 Singing in "the pocket", "your sweet spot", the TESSITURA. You know how there are certain passages of songs that just always sound fabulous in your voice no matter what? Or, a specific area in your vocal warm up that always rings freely? This can be referred to as your "pocket" or "sweet spot". It's where your voice just works, sounds fabulous, has the best tone, projection, everything. Some people have a "pocket" or "sweet spot" of just 3 notes, others 5 or so. The musical term for this is Tessitura. When you pick your song, make sure that a lot of it lays in your "pocket". For me there is a lot of music that I can sing well after all my years of training, but there are some songs that just pop when I perform them. As a result, they have become my old standbys. I know that they are just always going to work for me even on a bad day. That is because these songs sit in my tessitura. The place that is most natural and easy for me to be singing. It is one thing to have your "sweet spot notes" in a piece. It is another for a song to be sitting in them. That is what you need to look for in selecting a piece. Often times we have some great notes in a song that we can really belt out, but the rest of the song may not be sitting in a good tessitura. It all may be a bit too low or high to show off the brilliance in your voice. 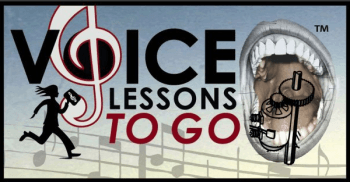 Make sure your song choice has a good deal of singing throughout your tessitura so that people experience the best of you for the longest possible. This is important when picking a key, or selecting a starting note for a song. If you do have a key choice (a dreamy function on a karaoke machine or most keyboards), try singing your song on different starting notes. (Each different note that you start on will set your song into a different key). The starting note that sets the song in your "sweet spot" the most, is the key for you. You don't always have this choice. When purchasing sheet music for example, most songs are written out in only one key (maybe 2-3 versions if you're lucky). So you need to make sure that that key is going to work for you or don't be performing that song. Most pianists cannot just sight read a piece and transpose it for you on the spot (transposing means changing the starting note of a piece and playing the whole thing in that new key). Do not ever put that on an accompanist without verifying that they can do that first. Find the brilliance in your sound and sing all over it. Also, finding the notes in your voice that work for you the best is a great way to develop more notes like them. If your "e" for example is fabulous then you have a good chance of matching the next note up or down from it because you have such a great example right next to it. Use your tessitura to help you with your whole sound. Does your tessitura have a brilliant ping to it, is it fuller, darker, louder, freer, more open, less strained, brighter? 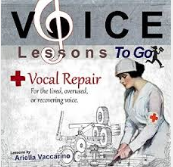 Figure out what is so good about it and try to implement that all over your voice. So, if a song is dull in your voice except for a few good notes, "can" it, or try it out in a different key. Don't waste your singing opportunities on a song that doesn't show your best sound. We only get so many of those singing opportunities in a lifetime.